After the liberation of the camp, the US Army ordered the local townspeople to bury the corpses of prisoners killed in the camp. 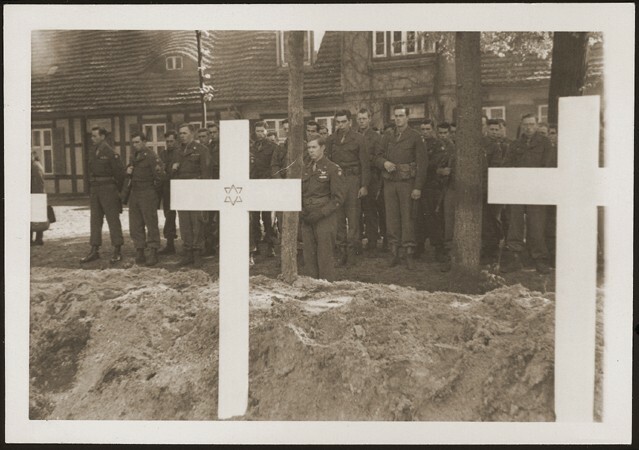 This photograph shows troops observing a moment of silence at a mass funeral for victims of the Wöbbelin camp. Germany, May 7, 1945.